It was a classic case of capital punishment as Mayo's 100 per cent league winning streak came crashing to a halt in round four against a rampant Dublin in Croke Park. Thousands travelled with renewed optimism, we thought that this may finally be the time we get to see a Mayo team defeat a Dublin team managed by Jim Gavin. The record now shows Mayo played 11, drew three and lost eight against the Dubs since Jim Gavin took over - not very satisfying statistics. There is very little to be positive about after last Saturday's mauling but at the same time, I'm not too despondent, but more disappointed, as I know Mayo are far better than they showed against the standard bearers of GAA football. I just hate shipping a hiding at Croker, especially to the Dubs as it gives the keyboard warriors and the critics licence to tear strips off us and we have very little to retaliate with. I would have gladly suffered a defeat if Mayo had given a good account of themselves and we could have something positive to take into a possible league final or championship match up against them later in the year; something to give us an indication that we will push them hard in the next encounter, something small that we could say- 'if that went our way we could easily have beaten them'. No such instances occurred however to leave us with any optimism. The only thing I'm clinging to is this happened before in a league clash in Croker in 2017 and we nearly turned them over the following September in the All-Ireland final. 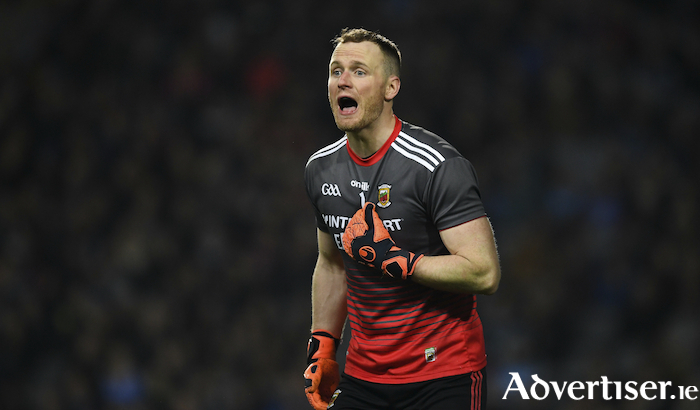 The 1-12 to 0-7 final scoreline is flattering from a Mayo point of view because it could so easily have been a whole lot worse, only for the heroics of Mayo custodian Robbie Hennelly. It's fair to say you will not see any keeper pull off so many top drawer saves in one game for the rest of 2019. To boot, he scored two of Mayo's three first half scores on top of keeping Dublin at bay in what was a disastrous first half, Fionn McDonagh the only other Mayo player to make the umpire raise a white flag in the first 35 minutes. The second half didn't get much better with only Croke Park débutante Matthew Ruane and substitute Kevin McLoughlin scoring points from play. The shot map of Mayo's shooting and conversion rate from both halves doesn't make for pleasant viewing from a Mayo view point. In the first half, one point from play, two points from frees with 12 wides. In the second half, two points from play, two frees along with 10 wides. The red dots - indicating the wides as the dominant illustration on the graph, a lot of which were from very straightforward positions. Fionn McDonagh tried hard as did Matthew Ruane and Jason Doherty but, collectively, the performance was as bad as we have put together in a long time at headquarters. Dublin most definitely thrive in Croker, there can be no argument against that. They have lost their two games on the road in this year's league and hammered both Mayo and Galway in Croke Park. It makes me wonder why Donegal's motion of preventing them from nominating Croke park as a home venue for the Super 8's failed at Congress last weekend as it's clearly more difficult to beat them on the hallowed turf. They haven't lost a game in Croker since the league final against Kerry in 2017 and before that they had another long run of not getting beaten. The Donegal motion only received 36 per of the vote when a 60 per cent majority was needed to have it passed. What were the delegates thinking? It makes for a level playing field to only allow them have one game in Croker in the Super 8's. We will have more on this again. Saturday's nights encounter with Galway has all of a sudden become a game of huge significance. Both teams are on the back of defeats and will immediately want to bounce back with a win. It's time we turned Galway over, not having defeated them since 2015 when Noel Connelly and Pat Holmes were at the helm seven games ago.